Do you ever wish God would speak to you, let you know what He thinks and give you direction? Nancy says God has done that. What does it mean to avoid worldliness? Dr. Crawford Loritts says that avoiding worldliness isn't primarily about setting up rules or unplugging from society. What does it mean to avoid worldliness in the 21st century? Dr. Crawford Loritts offers a balanced perspective. Do you love God or the things He provides? Jesus said those who know the Son would also know the Father. How much time and effort do you spend getting to know Christ? You can't have a healthy relationship with a person you're hiding from. Elyse Fitzpatrick explains why we all have such a propensity to hide our weaknesses. The message of Christmas is God's gift to the world. Deep down, everyone is thirsty. People try to quench the thirst in all kinds of ways. Janet Parshall tells of a woman whose thirst was truly satisfied. You can’t worship with a mask on. Learn to worship, not just with your mouth, but in spirit and in truth. Is there an area of life you don't want anyone to know about? Jesus offers you freedom when you give Him those areas and get real with other people. Do the demands of life sometimes seem overwhelming? Do you believe that God can really bring peace or comfort in your situation? Is there an area in your life that you would like to hide from God? What exactly does it mean to worship Jesus in spirit and in truth? 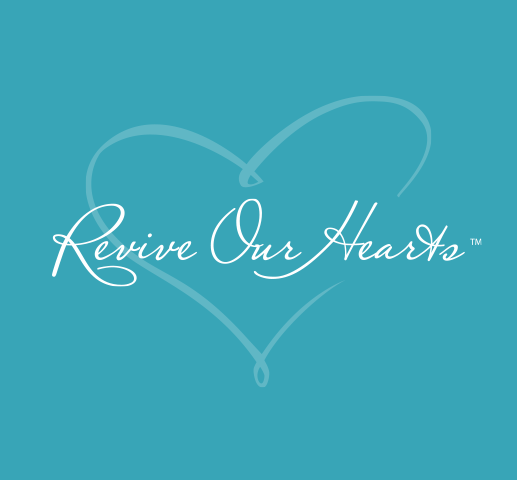 Nancy Leigh DeMoss answers that question on today's Revive Our Hearts. You are thirsty. There’s a deep craving in your soul, and only one thing can satisfy it. Erin Davis shows you the depth of your need and how to satisfy it. Imagine hearing someone say, “Eat my bread and live forever!” One person did say that. A lot of people heard it as an outrageous claim. How much time do you spend with the Lord? Nancy Leigh DeMoss concludes her study on Satisfying Our Thirst on today's Revive Our Hearts. “I am the Light of the World.” When Jesus made this claim, it wasn’t just a simple metaphor. To His original hearers, this would have been a big deal. The Bible tells the story of a woman called “adulterous woman.” What a label. Erin Davis talks about the labels we wear, and about her encounter with Jesus. When a piano tuner adjusts your piano, he uses a tuning fork. Nancy explains why tuning to an objective standard is important. It matters in music and life. Feeling overwhelmed? Learn to seek God for what He wants you to do. How much of your time falls victim to “time robbers"? Today Nancy Leigh DeMoss defines what those might be and helps us recognize and remedy those things. Nancy encourages you to just listen to God’s Word and let the Easter story wash over you. Max McLean makes the story come alive from the book of John. What was the single greatest word ever uttered in the history of mankind? Nancy says that word was proclaimed by Jesus on the cross. Mary’s story doesn’t end at the stable. We’re about to look at a suffering and risen Savior through the eyes of a mom. As Jesus suffered on the cross, He took time for a very practical matter. He made provision for a widow who was about to lose her firstborn son. "I thirst." It sounds like a simple request. But when Jesus uttered these words on the cross, it was a profound statement. Last month we celebrated the resurrection. Why is that event such a big deal? We know Jesus’ death was important, buy why the resurrection? Who was Mary Magdalene? The popular picture of her is influenced by a lot of conjecture and legend. Janet Parshall helps us accurately get to know her. Nancy has been serving in ministry as a single woman. But she has an announcement. Hear her big news and get to know a very important person in her life.